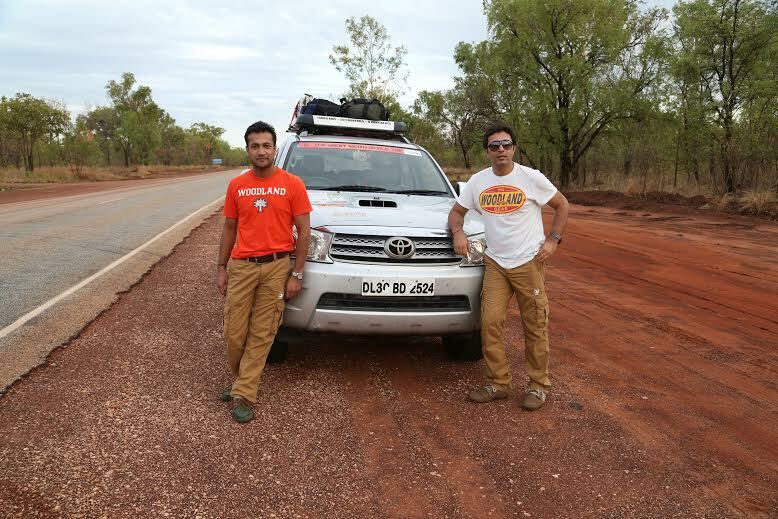 Melbourne: Tushar and Sanjay are at present driving through Australia. An unprecedented journey where they are driving 70,000 km through 50 countries in six continents. They are documenting the lives of India’s global ambassadors – the NRIs. “The Great Indian World Trip is a journey with a heart. A heart that beats for Indians living abroad and cares for the weak and the aging as well, say Tushar and Sanjay. They want the Indian people in Australia to be a part of this epic journey by supporting them. Because when you support The Great Indian World Trip, a part of the proceedings will go to SHEOWS’ Guru Vishram Vridh Ashram (www.oldagehomeindia.in). “ Any contribution would not only make The Great Indian World Trip a huge success but also support an old age home in need, Tushar and Sanjay told SAT. Tushar and Sanjay will be in Melbourne on 9th and 10th December. They will drive here from Sydney and then drive to other parts of Australia before flying away on 25th December.